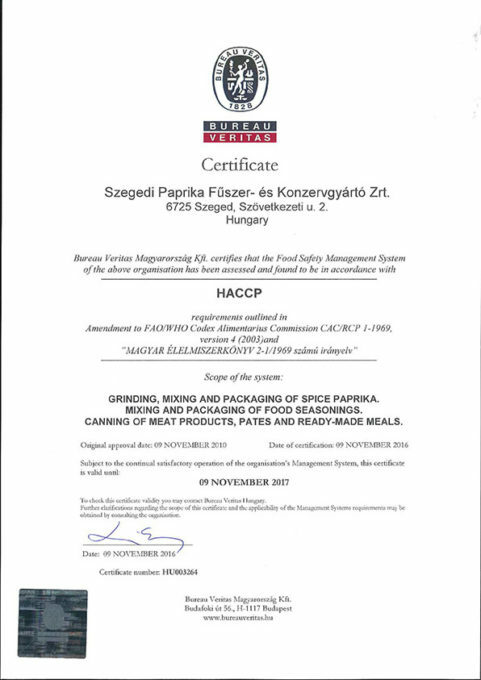 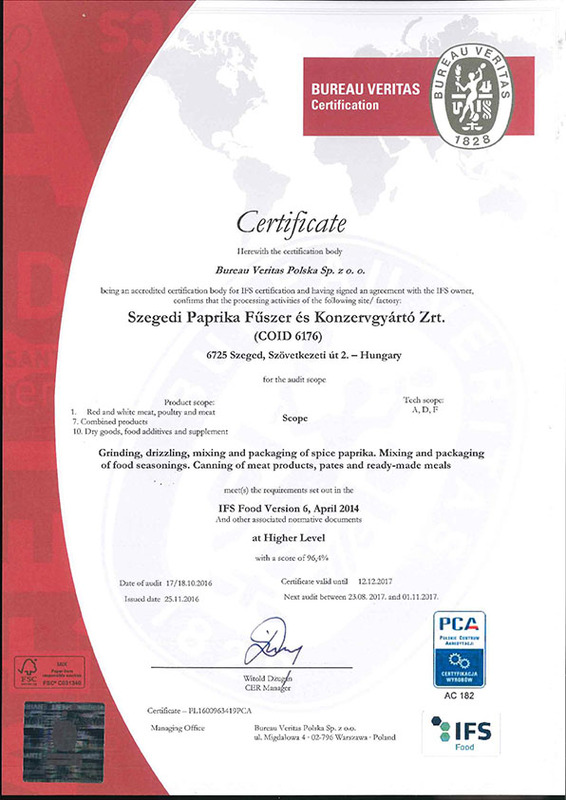 ﻿ Food safety - Szegedi Paprika Zrt. We guarantee with the operation of the certified, IFS Food 6th Version requirements corresponding food safety system, that in the market launched, by customers acknowledged products will be released in a permanent, reliable quality. With our continuous quality development, market research and product development we meet and exceed the expectations of our customers. 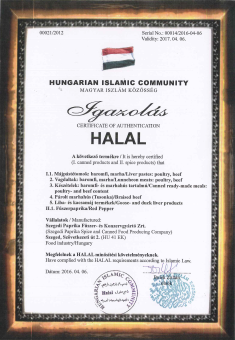 Our products intended for the Islamic market are certified as HALAL certificate. 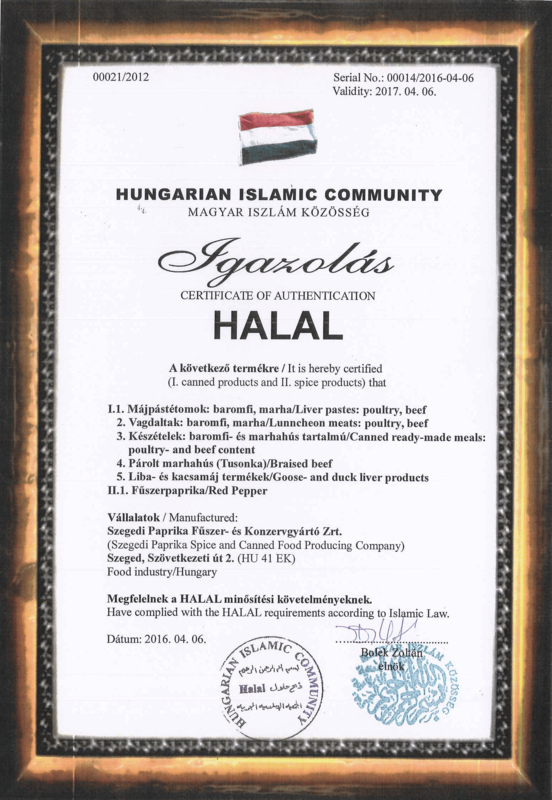 Based on successful audits conducted in accordance with TESCO standards, we are entitled to supply our products to TESCO using our own label.